We don't have time to feed ourselves - Is just an EXCUSE!!!!!!!! While planning a diet plan for someone,one dietitian needs to go through a long lists of many aspects. But,when it comes to the Client/Patient/Follower - They just have to follow it religiously. The very common EXCUSE which I hear is - I DON'T HAVE TIME TO MANAGE IT ALL. Sincerely speaking,I too sometimes say these things but not for my food or health wise. It's related to unnecessary outings,parties,hangouts etc. of these. If we can't manage time to take care of ourselves now,then later on MEDICINE/PILLS will take care. 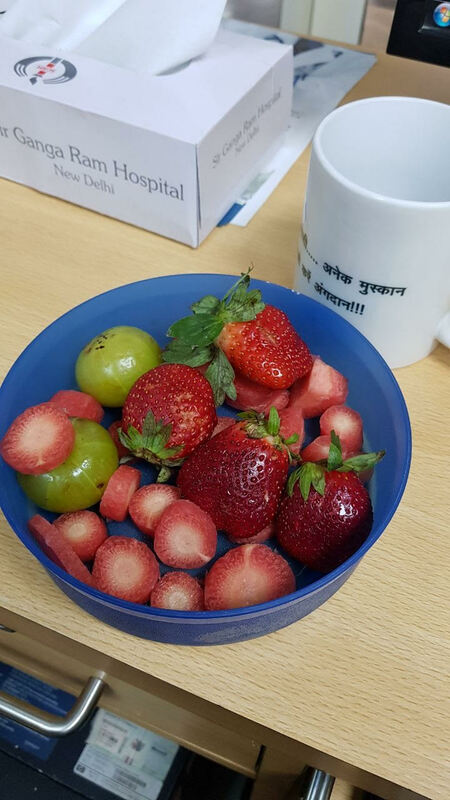 I manage somehow,to have that colorful mid-meal with my colleagues in between our working hours.